Tea samplers are a fantastic way to explore the world of teas, discover new favorites, and try out a tea company before you fully commit. They also make great gifts for your fellow tea lovers and excellent wedding and party favors. Yet, there are a lot of tea samplers to choose from, where do you begin? To help you get started, we have selected a few of our favorite samplers and there's something for every level of tea drinker. 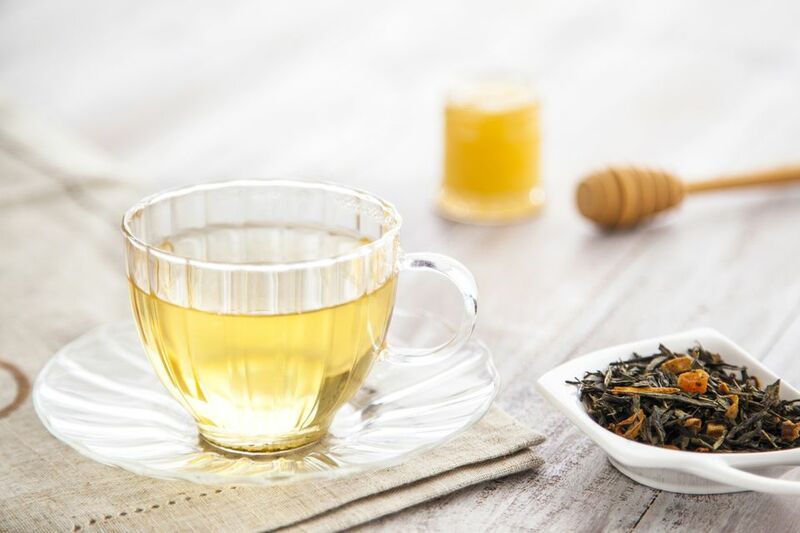 Whether you're looking to explore the highest quality of tea and really refine your palate, or simply want to sample a variety of teas without breaking the bank, we have plenty of ideas. American Tea Room sells sample sets of some of their most popular teas. The packaging is elegant and sleek, which makes this a perfect gift idea. Many of the loose-leaf tea sets include a pyramid strainer and guide to the teas inside. You'll find that American Tea Room has high-quality teas and they are worth the price. Within the Bento Box Collections, are samplers ​for green, red, and black teas as well as an 'Origins' selection that gives you a taste of distinct tea growing regions. Art of Tea carries loose-leaf and teabag samplers and this is a tea company that is considered one of the best. They blend their teas by hand and use sustainable practices like biodegradable tea bags. Loose-leaf tea samplers include selections focused on award-winning teas, "dessert teas," iced teas, and more. A package of filter bags (sachets for loose leaf tea) is included. Adagio Tea offers a large range of tea samplers. Each includes four to six sample pouches of tea, and each sample includes enough loose-leaf tea to brew 8-10 cups. It is easy to get lost in this selection of tea samplers because there are so many. They're also very specialized, so they're great for both beginners and connoisseurs. If you're interested in exploring 'Teas of Japan,' there's a sampler for that. Have you heard about the various Earl Grey teas available? There's a sampler for that. From florals to fruits and chais to sweet teas, even teas that make the perfect iced tea, you will not be bored by Adagio's selection. For those who prefer teabags and tea sachets over loose-leaf tea, Mighty Leaf Tea has a number of themed tea pouch samplers. Most impressive of these are the 'Master' samplers. Whether you're interested in comparing black teas or want an introduction to either white and green teas or herbal teas, there is a sampler for you. Each specializes in a different type of tea and includes 108 tea bags, between 12 and 18 of each tea. This will give you plenty of cups to enjoy and discover. Revolution Tea offers variety packs of their teabags with themes like "Best of the Best" (most popular), "Holiday Cheer," and "Green and White Celebration." The full selection is available on their website, but a nice introduction is this six tea gift box set that includes green and black teas along with fruit and spice tea blends to try. What we enjoy most about Revolution is that they've packaged loose leaf tea in tea bags (what the company call 'full-leaf tea bags'). This gives you convenience and great tea in one package. Numi Tea specializes in teas with a conscience. This company's teas are organic, non-GMO, Fair Trade and Labor, and their tea bags are compostable. The blended teas are pretty fantastic, as well. The 'World of Tea' sampler features 5 tea bags of 9 different teas sourced throughout the world. The bamboo package (also reusable) includes jasmine and gunpowder green teas, a chai and rooibos, an Earl Grey and English breakfast blend, as well as lemon, mint, and chamomile-lemon for herbal tea lovers. If you're new to tea and really want to sample the widest variety, Solstice Tea Traders has the perfect sampler. These loose leaf teas are sold in reusable metal tins and it is a budget-friendly option for the widest sampling of teas. In this sampler, you will receive enough tea for 10 servings each of 12 different teas that range from Masala Chai to Red Fruit Hibiscus and Mirik Darjeeling to Peach Tea. Golden Moon is a tea company you will want to get to know. They offer a variety of loose leaf teas that are USDA Certified Organic, GMO-free, and not sprayed with additional flavors. This particular tea sampler offers 48 servings of Golden Moon's top four teas: Masala Chai, English Breakfast, Mint Medley, and Rooibos. It's a nice little collection that showcases the best of the greater world of tea.